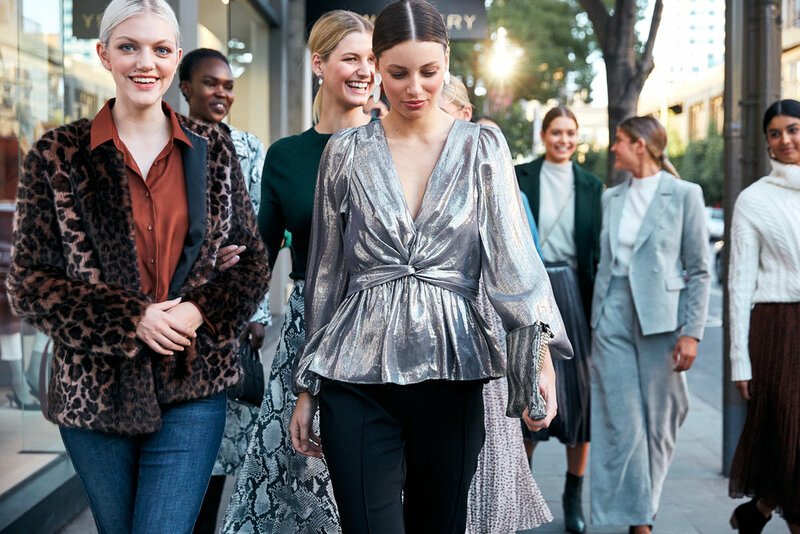 To celebrate Witchery’s Autumn / Winter 19 collection, Kate & Co. were pleased to host an exclusive showing at Witchery’s Chapel Street store on Thursday 21 February. The Kate & Co. scope of work included executing a publicity plan to secure pre and post event coverage, managing a star studded guestlist and seamless coordination of the event elements on the day. Upon arrival guests sipped on bubbles provided by Piper-Heidsieck and enjoyed canapés prepared by Merci Mama, followed by a sit-down fashion runway hosted by celebrity stylist Lana Wilkinson. Stylish guests included Laura Dundovic, Jasmin Howell, Laura Henshaw, Vydia Rishie & Tegan Martin alongside key media and VIPs. Guests were seated front row and experienced a preview runway show, where Chadwick models sported hero pieces from the AW collection. Key trends were highlighted on the catwalk, including tailored suiting, chunky knits and flowing maxi dresses perfect for layering and trans seasonal dressing. Post the show, guests were invited to enjoy a VIP shopping experience. Kate & Co. were also pleased to host Witchery’s Managing Director Simon Schofield and Creative Director Gavin Gage, as well as members of Witchery’s South African team including South African influencers Kefilwe Mabote & Sarah Langa.